Day #16 – Spag. Bol. | Have kids, they said. It'll be fun, they said. 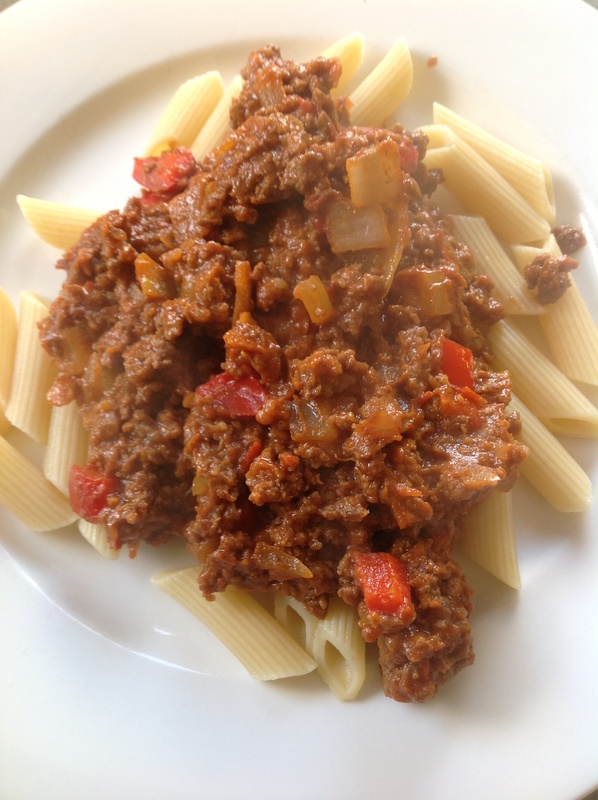 Day #16 – Spag. Bol. When I was 12 I was interviewed on a panel for the local newspaper, discussing cereals. Such was my love of tomatoes, I declared (and was quoted in the paper) that if I could choose any flavour of cereal, I would make tomato flavoured breakfast cereals. I wonder why that suggestion didn’t take off?! I don’t love tomatoes that much these days but they are still pretty delish. I would love to say that I make my own pasta sauces but I don’t. If fresh tomatoes were cheap and readily available then I think I would make my own tomato sauces and pastes but they just aren’t within the grocery budget most of the year. Ask practically any Kiwi man to cook you dinner and they will probably cook sausages. Or steak and chips. Or get Fish and Chips. Ask any Kiwi man to cook you a nice meal and they will muster up some variety of Spaghetti Bolognese. Spag Bol, if you will. Which, by our definition, is a tomato-based minced beef sauce over spaghetti of some variation. Easy. And, actually, quite delicious. Dice the onion and cook with the garlic for a couple of minutes. Add the mince in and cook until browned through. 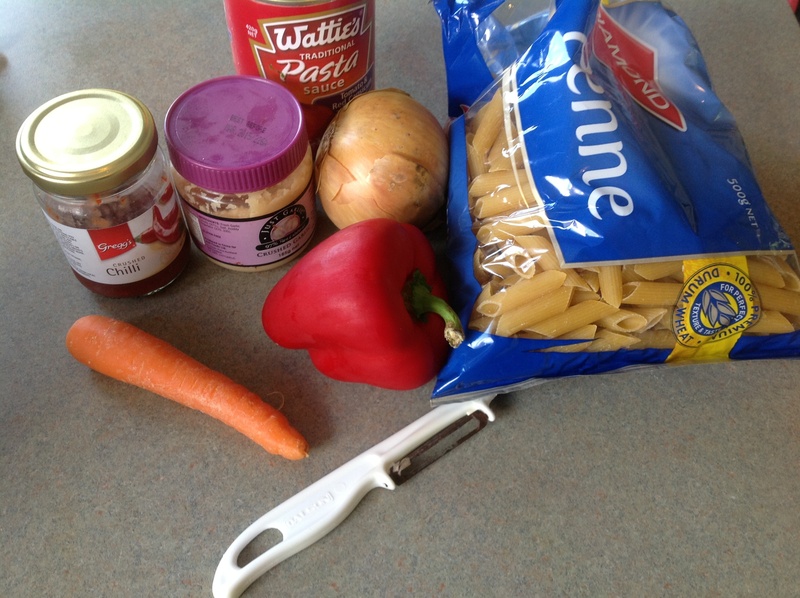 Add the capsicum and carrot, then the pasta sauce. The trick with a really nice meat sauce is letting it simmer until it is thick and tasty. Cook the pasta while this is going on. Once plated, top with grated cheese if you like. Win. Absolutely delicious, if I do say so myself. The kids loved it which is a bonus because of the veges scattered throughout. An oldie but a goodie. A bit like tomato cereal, really.